Every year, on the third Thursday of November, smokers and companies across the nation take part in the American Cancer Society’s Great American Smokeout. The event challenges people to stop using tobacco by making a plan to quit and/or take action to quit on this day. If your organization missed this year’s Great American Smokeout, it is still not too late to implement your own smokeout event and focus on reducing tobacco use during the upcoming year. Why work toward a tobacco free workplace? Reduction in health care costs that may be directly seen throughout your company. Recent published estimates calculate an excess annual cost of nearly $6,000 per employed smoker. Reduction in rate costs for insurance coverage (such as lowering rates of health, life and disability insurance) due to fewer employees using tobacco products. Decreased missed work days due to tobacco-related illnesses, which helps increase productivity within your company. Becoming a tobacco free company can help decrease upkeep of office equipment, carpets and furniture, and maintenance cleaning. In return, your organization is saving additional costs that are unnecessary. 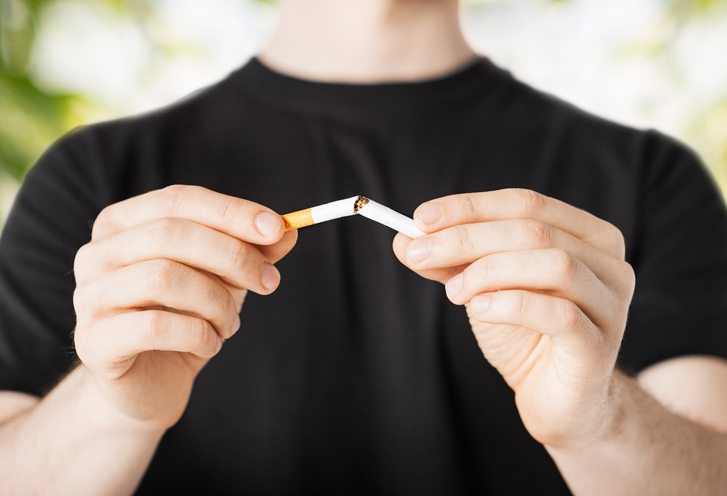 How can employers help their employees become tobacco free? No use of tobacco products will be allowed on company grounds at any time. Tie tobacco use to your benefit plan structure. On January 1, 2014, the HIPAA non-discrimination guidelines and final regulations under the Affordable Care Act (ACA) went into effect. These final guidelines state that a health contingent program reward can be up to 30% of the total cost of coverage. If the program is designed to prevent or reduce tobacco use the reward can be up to 50%. Well Nation® offers the flexibility to support every program type and objectives, from the most basic participation based wellness campaigns to the more advanced health contingent / outcomes-driven program. Well Nation® also has the ability to incorporate tobacco testing (cotinine) into health contingent outcomes programs. Offer reimbursement for tobacco cessation products. Offer workplace tobacco cessation workshops or educational resources. The Well Nation® platform is designed to help employees develop and sustain healthy behavior and well-being for life, including becoming tobacco free. The Well Nation® Tobacco Cessation targeted wellness coaching program not only offers employees ways to quit smoking, but it also encourages the employee to look at and overcome underlying triggers of tobacco use. The Well Nation® wellness coaches are proven to help employees in their journey to become tobacco free by providing helpful strategies and support throughout a 12-week period. What can you do TODAY to start a smokeout event? Non-smokers sign-up and encourage their partner to commit to becoming tobacco free. Post sign-up sheets and have an informational session or meet and greet! Start a competition between different departments in your company and the department with the most “kept” pledges to quit tobacco earns an incentive. If the budget is tight, draw names from those you quit to earn a single prize. Empathy Pledges ? Give a badge (available at www.cancer.org/smokeout) to employees who are quitting smoking or those who are supporting these employees. Encourage non-smokers to give up something too, such as coffee, chocolate or soft drinks. This helps demonstrate to employees who smoke that other employees who do not smoke have other areas of their own health that they can also work on changing.